You'll have access to visit one of the leading manufacturing facilities in the world. 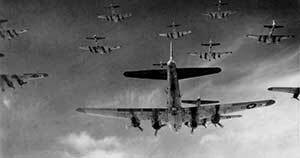 Boeing started in Seattle in 1916 and became the dominant global giant at the dawn of the Jet Age. 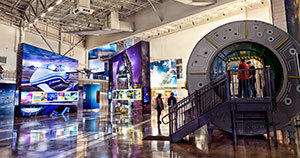 Today you can visit the Boeing factory, with the tours being one of the most popular tours in Washington State. The Boeing Factory located in Everett, Washington is the home for the production of the historic 747, the 787 Dreamliner as well as the 767 and 777. The hour and a half factory tour presented by The Boeing Company will give you an opportunity to see a production facility that is so big that all of Disneyland can fit into the building with room to spare. Shutter Tours is proud to offer you this opportunity to see where tomorrow's jets are born today. The 45 minute drive with your guide will include historic background on the Boeing Company as well as additional information and history of Seattle. We also offer complimentary bottled water and snacks for your comfort. 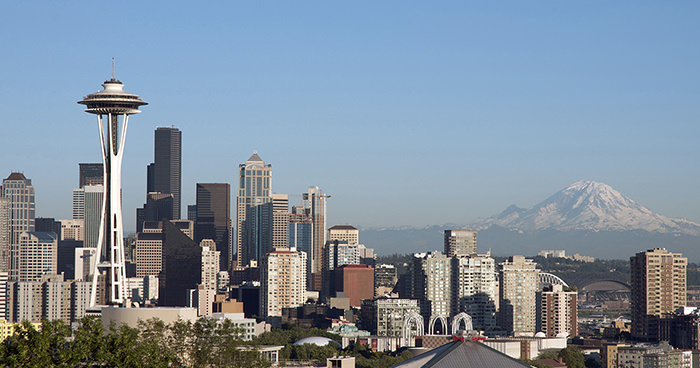 The Seattle Westin Hotel is located within minutes of over 80 hotels in Downtown Seattle. Our on-time departure of 10:00 AM allows you to have time to explore the Future of Flight interactive displays before your tour begins. 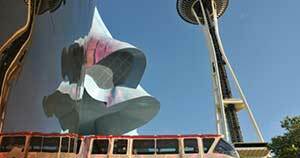 Your tour will begin at the Westin Hotel located at 1900 5th Ave in Downtown Seattle. 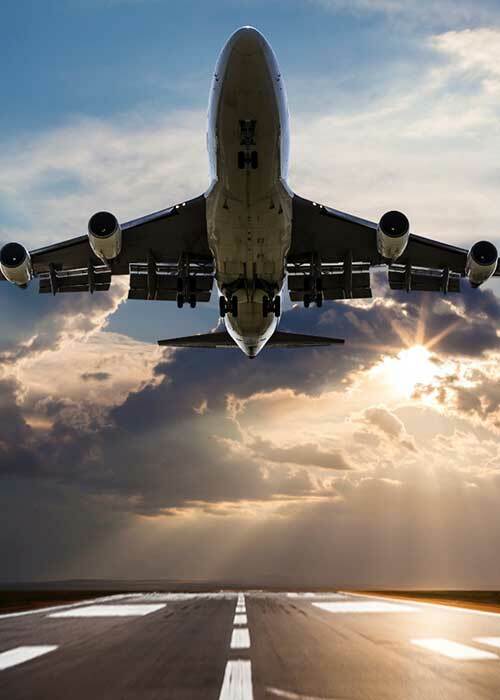 This centrally located hotel is within a short distance of over 80 hotels and meeting in a central location ensures our guests can have an on-time departure to the Boeing Factory. During the short 45 minute drive, your guide will share with you some of the early histories of the Boeing Company along with sharing information about Seattle and the Pacific Northwest. Upon arrival, your guide will then help you with your tour tickets and use of the lockers for cameras and bags. Our arrival at the Future of Flight Aviation Center will give you time to enjoy the interactive displays where you can learn more about the airplane manufacturing process before your factory tour begins. 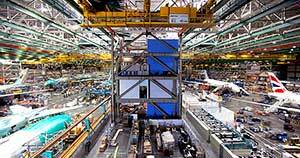 Your 1.5 hour Boeing Factory Tour is provided by a knowledgeable Boeing employee and presented by the Boeing Company. You'll watch a short 5-minute video and then take a comfortable coach to the Boeing Factory facilities. Throughout the hour and a half tour, you'll learn about the manufacturing process and be able to ask questions to help you understand the challenges that go into building large commercial airplanes. Your tour will include seeing the assembly lines for the 747-8, 767, 777 and the 787 Dreamliner with its industry-leading technology in fuel efficiency and long range and a passenger experience like no other. After your tour, we give you additional time to browse the Boeing gift shop and take time to go up to the Strato Deck. 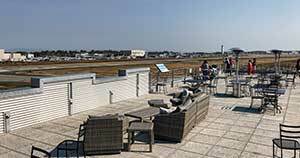 The Strato Deck overlooks the Paine Field runway, and here you might have an opportunity to see Boeing jets as they land during flight tests. There is also a live feed for the Air traffic control tower where you can hear the pilots as they communicate with the tower. Close by is the hangar for the Dreamlifter, used exclusively for transporting Boeing 787 Dreamliner aircraft components to Boeing's assembly plants throughout the world. Throughout our narrated part of the tour as we drive to and from the Boeing Factory, your Shutter Tours guide will have an engaging narration about the Boeing Company. Our 45-minute drive back to Seattle will give you the opportunity to relax before your next adventure in the city. Our approximate arrival time will be 2:30 (Depending on traffic), and we offer three dropoff locations for your convenience. Our first dropoff is at the Space Needle, where you can also find Chihuly Gardens, the Museum of Pop Culture and the Pacific Science Center. Next is the Westin Hotel, our original departure location. Our final stop is the Pike Place Market. We hope after taking our Boeing Factory Tour it will be a trip to remember during your visit to Seattle. Dates and times for the tours and how long does it run? Tour runs year round except for the month of April during our Tulip Festival Tour. Starting time is 10:00 AM Mon-Fri with approximate time back to Seattle is 2:30 PM depending on traffic. The actual Boeing factory tour provided by the Boeing Company is 1.5 hours. The cost is $79.00 per person with discounts for seniors and children. This includes the $25.00 per person Boeing factory tour ticket fee charged by the Boeing Company for their 1.5 hour tour of the Boeing facility. Can I take my camera on the Boeing Factory tour? No, for safety reasons you are unable to bring cameras or phones in during the factory tour. From the Boeing website "You may take photos in the Future of Flight Gallery and on the Strato Deck, but The Boeing Company does not permit still photos or video cameras on the tour. In addition, there are no personal items allowed on the tour, including purses, backpacks, waist pouches, binoculars, cell phones, etc. Free lockers are available onsite. The Boeing Store offers free photo booth pictures with a choice of Boeing backgrounds. The photo booth is located in the Future of Flight Gallery. " Is there assembly work going on the weekends? Weekdays are the best to see the actual activity of the workers. Like most employers, there are fewer people working on the weekends. Do you offer other hotel pickups? Due to construction and unpredicitability of Seattle traffic, we are unable to offer other hotel pickups at this time. Multiple requests for hotel pickups per day have caused late starts to tours. Our pickup point at the Westin Hotel is within 10 minutes via Uber and Cab of over 80 downtown hotels. Can I take the Boeing Factory tour on my own if I have a car or Uber? Yes, the Boeing Factory Tour is operated by the Boeing Company, and anyone is welcome to drive to the Everett facility and purchase their own tickets. Approximate Uber costs are $110 -$120 round trip during non peak times. Separate Boeing factory tour tickets and the Boeing factory tour schedule, without transportation, can be found online at futureofflight.org. Children are of course welcome on tour but keep in mind that all children must be 48" or taller to take the tour. You cannot carry babies or small children on the tour, and there is no childcare facility available. Strollers are not allowed on this tour. Please contact Terry at 425-516-8838 for group discount information for 10 or more. Lunch is not provided by us, but this is the reason we stop in Mukilteo so you can have the opportunity to eat midday at your own expense. The Future of Flight also has a small cafeteria, should you be hungry. The tour runs from 10:00 AM - 2:30 PM, depending on traffic. How much walking is there? What about wheelchairs and walkers? The amount of walking is approximately 1/3 of a mile with up to 21 steps at a time. Wheelchairs and walkers are not allowed on the tour time that we participate in. If you would like to make arrangements on your own, you can contact the Boeing Company for more information on how attend the 10:30 AM or 2:00 PM tour with wheelchairs.